The best way to get to your destination. All our Catania transfers are door-to-door, private and direct. The meeting point is at Catania Fontanarossa airport : our driver will be waiting for you at the airport arrivals lounge, holding a sign with your name. Our customer service manager, Mr. Luciano, will check any changes to your arrival time. In case your flight is delayed, your reservation will be automatically updated and the driver will be waiting for you at the actual arrival time of your flight. NO RISKS! Our Catania transfer fares are fix and guaranteed, no hidden charges, regardless of the actual time needed to get to your final destination. If the trip lasts more because of traffic, closed roads, bad weather conditions or other unexpected events, no extra charges will be charged. All our drivers are friendly, professional, experienced and fully insured. All our vehicles are licensed and covered by insurance. They go from luxury Mercedes E class limousine, to minivan and van, to saloon (sedan), to estate car (station wagon) People Carrier (Mini Van MPV's). Mini Buses and buses up to 56 passengers are also available to almost all destinations. Child seats are available for free upon request. Our reservation procedure is quick, simple and SAFE, thanks to the SSL technology that encodes your information before forwarding it to our secure server. 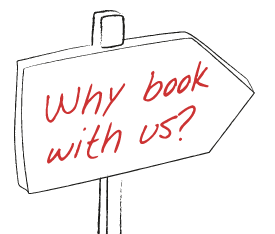 Your Catania private taxi will be booked in just a few steps. Our Customer Support Service is available 24/7 to provide any support before, during and after your transfer. 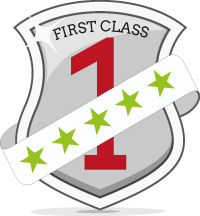 "I used their service this summer and they were punctual and professional. Furthermore, their prices are more convenient than those of many other companies I looked at. I strongly recommend them." "I would rally like to thank you for the two drivers who accompanied us during our trip to Taormina. They were on time, kind and very elegant. I definitely encourage everyone to use this service for any transfer from and to the airport. Grazie :)"